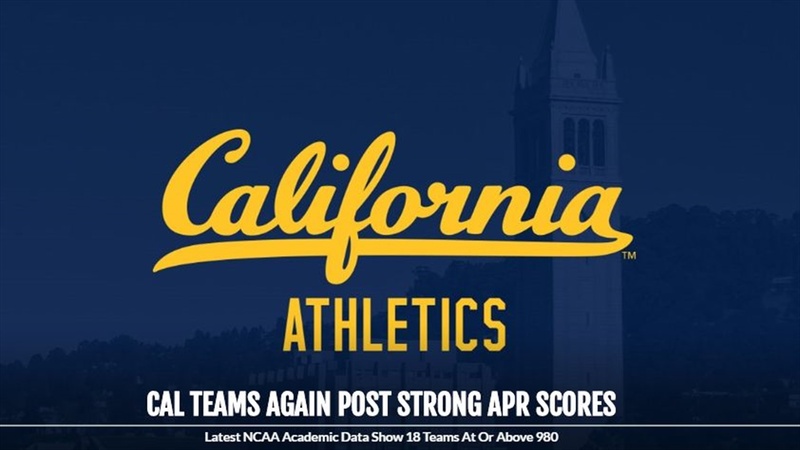 BERKELEY – The latest Academic Progress Rate scores show that Cal's intercollegiate teams continue to excel in the classroom with a program-record 18 sports at or above 980, according to data released by the NCAA on Wednesday. Overall, 20 of 26 measured programs either improved or maintained their scores from a year ago, while 11 teams equaled or established all-time highs. Last week, a total of five teams earned NCAA Public Recognition awards for their performances, all with multiyear scores of 1,000 (the highest possible) – women's golf, lacrosse, men's and women's tennis and volleyball. "These scores are a reflection of the hard work of our student-athletes and what they learn from our dedicated and distinguished faculty," Director of Athletics Jim Knowlton said. "Our coaches and staff, including those at the Athletic Study Center, have done an exemplary job of setting the proper culture for academic success, and our student-athletes have exhibited the type of desire and motivation necessary to achieve these impressive results." The men's basketball team had a score of 970 – the same as last year and 31 points higher than it was four years ago. Football's score was at 976, which is just two points shy of its all-time high and up 29 points over the past four years. Men's cross country had the largest year-over-year gain, moving up 19 points to an all-time best of 995. Men's swimming & diving, field hockey and women's track & field also posted double-digit increases. In all, 11 teams had one-year APR scores of 1,000 for the 2016-17 academic year. In addition to the five teams receiving Public Recognition, they were: beach volleyball, men's cross country, women's basketball, field hockey, women's swimming & diving, and women's water polo. The APR, created to be a more real-time measurement of academic success than graduation rates, is a team-based metric through which scholarship student-athletes each term earn 1 point for remaining eligible and 1 point for staying in school or graduating. Every Division I sports team calculates its Academic Progress Rate each academic year, and the NCAA reports both single-year rates and four-year rates. The most recent multiyear APR rates are based on scores from the 2013-14, 2014-15, 2015-16 and 2016-17 academic years. Results are not tabulated for men's crew and rugby, which are not NCAA sports. Teams must compile a multi-year score of 930 or higher or risk losing eligibility to compete in NCAA postseason championships. In additional academic news, data from the Athletic Study Center show that the average GPA for all student-athletes for the fall 2017 semester was 3.005 – its highest in at least four years – with 22 teams posting GPAs higher than their historical averages. The GPA for all men's teams has risen for eight consecutive semesters, and overall, 139 student-athletes recorded a GPA of at least 3.50. Football (multi-year) dropped from 978 to 976. The single year figure dropped from 991 to 962. 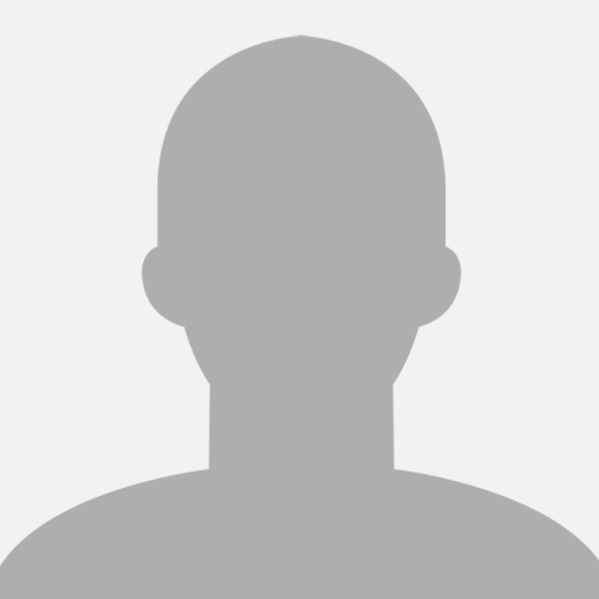 Is Wilcox backsliding? Wow, single year drop that bad??? Could the drop be the natural purge or attrition from one HC to the new HC? There's usually turn over after a regime change. No. This is for the 2016-17 academic year. This is much more fairly placed on Dykes, and was probably made a little worse by the coaching change. Further, it helps to know how APR is calculated. Every scholarship player can earn a point each for (1) being academically eligible (2) being retained for the spring semester. Assuming we had 85 scholarships, that means we had 170 possible points. An APR of 962 means we earned 96.2% of our possible points - or about 164. That means we had some combo totaling six players who were either not eligible or left the school early. That's still pretty good. So, 962 is still good, if you ask me. The only other team who had a mid-year coaching change during the 2016-17 academic year (Oregon) is below us. A small (and yes, 6 is small) amount of turnover after a coaching change is normal. Chill. This is great news. I still wish our hoops and football team won more. Are those dadgum whippersnappers on your lawn again??? Dadgummit!!!! Too bad Men's Rugby isn't included - that would boost our overall score I believe. And my best guess would be that crew would too. My ideal would be if we competed on the P5 level in all sports but BB and FB, as the athletes in these sports enter with GPAs, ACTs, SATs, and HS course work very close to the general population at Cal. FB and BB not so. So why not develop an "Elite Academic League" and include the likes of 'furd, UCLA, Northwestern, Rice, Vandy, Ga Tech, Boston College, etc.....Somewhat a more powerful athletic Ivy League, but along the same ideas..The common interest would be excellence in both academics first and then athletics for the academically oriented. A good example of this is in the Big East where all the schools are of roughly the same size, have generally the same academic standards, and is very competitive in mens and womens sports (lacrosse, soccer, field hockey, sailing, rowing, etc.). Creighton, Xavier, DePaul, Butler, St. John's, NOVA, G'town,Providence......Very academically similar, very competitive athletically. The playing field is near level, the competition and rivalries are great. I have been at it since the three Rose Bowls in the late forties and the combo of academics that we couple with athletics is almost impossible. If you disagree, answer how many football players have graduated in engineering of any sort? Very, very few such that I think even I can name them. Is that what student/athlete is supposed to mean? I really don't think so. Yes, attendance would be less, but school spirit could be the same. Just thinking, for what we are trying to do is not working. If you think not, then answer how we will ever compete with U$C with their emphasis on FB. There will an accidental win now and then but better than 4 to 1 against. If crew and rugby were NCAA sports, Cal would win the Sears (or whatever it's called now) cup. It would also boost the APR as mentioned. Cal had 6 problem players, UCLA had 4.5 Players. If you look at it that way you can see that it does not take much to go up or down. As a % of all the football players it seems not a big deal. However relative to our peers we should be above average I would think. Based on conference wins the lower APR score (taking risky kids academic wise) did not help at all. 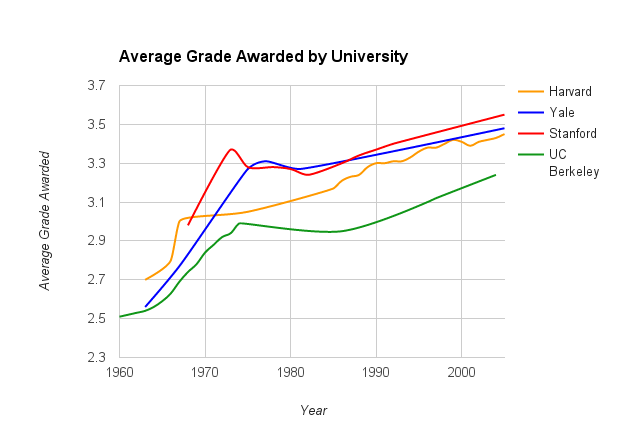 Over time grade inflation will help us maintain 990+ scores perennially like furd does. Compared to where we were just a few years ago, 962 in a down year isn't too bad. Our prior two years were 991 and 997 so hopefully this dip will be succeeded by another 980+. Not super troubling, but there are actually 2 semesters going into the yearly APR, so the baseline denominator for 85 scholarships is 340. I think one can get dinged pretty badly for having a player fail in fall semester, then drop out in the spring. That would mean 1 out of 4 APR points. Same player could just get booted from school in the fall which would result in 0/2 (I believe), or be pushed to get his grades up in the spring for a 3/4. I've always wondered how this works for quarter schools since the retention point could occur each semester? There are also a lot of ways to leave school while eligible and have that not count against APR, but I've never seen a printed list. Training for the draft or enrolling in another school should do the trick. It would take about 8 players failing out in a single year to push the single year APR down to 930, the post season cutoff. And 4 years straight of that to get a postseason ban. Just curious, what does grade inflation have to do with APR scores? uh, if grades are easier to get, it's easier to pass and stay eligible? Also, the rates are determined "term by term". I would interpret that to mean three calculations per academic year for schools on the quarter system. I can't find the link but I believe I read a few years ago that for 50% of furd classes, 70% of the students receive A's. It's not that hard for athletes to target those classes and sail through. Berkeley isn't anywhere close to that, but grade inflation is real and should help keep students eligible who otherwise wouldn't be. I've always suspected the 'term by term' makes attaining a good APR much, much easier for a quarter school. A) for student-athletes that fail classes in fall (due to the rigors of the fb season), quarter students could get as many as 5/6 APR points for the year, while a semester student could only get as many as 3/4. That's about a 10% better APR right there for a somewhat equal transgression. B) for students who fail out and have to leave, the retention point is also skewed due to quarter system. if a quarter student fails out in their LAST semester, they would count 4/6 for the year's APR, while the semester student counts 2/4 for the years APR. Another way to look at is that a quarter student leaving is nominally 1 or 2 out of 510 (85x6) possible points, while a semester student is 1 or 2 out of 340. Again a significant difference. on a quick skim, it appears leaving with a 2.6 and enrolling at another 4 year school is an AUTOMATIC adjustment of the APR (ie doesn't count against current school), while leaving with a 2.0-2.6 can trigger an appeal for adjustment. That only is in regard to transfers, but I wonder what the rule are specifically for entering the draft or say having a sick parent that requires attaining a job. (And thanks for the link, not asking for more, just wondering). Why did Cal switch back to the semester system from the quarter system? Well, I heard it was because the Ivy League does semesters, but Junior Universities do quarters. And you had three finals versus two. I hated finals so badly making this the biggest issue. Was fortunate to have semesters at Cal and UCSF. I guess it depended on your major. I never stressed about finals because they generally consisted of quarter-long projects rather than a concentrated exam or something similar.